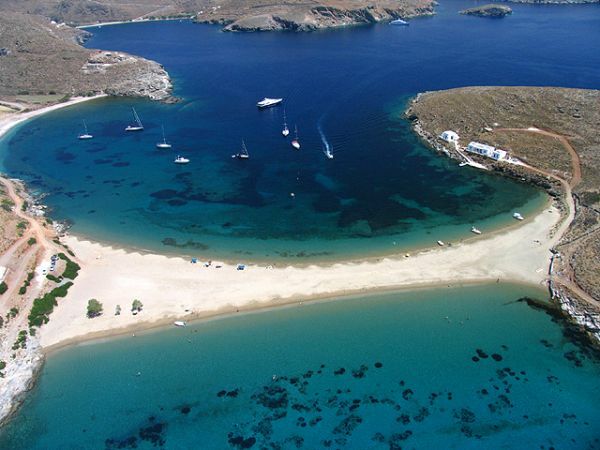 Kolona Beach Kythnos:ONE OF THE BEST BEACHES in the MEDITERRANEAN according to our opinion!!! A unique masterpiece of nature. 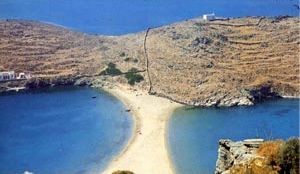 The beach of Kolona is basically a narrow strip of land that connects Kythnos to the islet of Agios Loukas. It has a particular exotic charm due to its fine, golden sand, the transparent green-blue water and the sea lapping at BOTH of its sides. The whole area is virgin since it is hard to be reached by a motor vehicle. 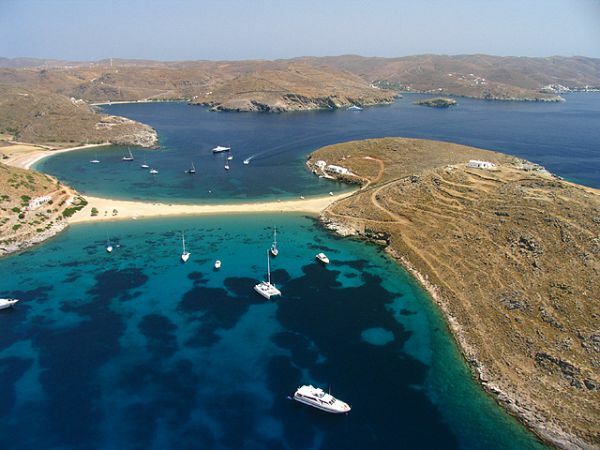 Yet is one of the best ANCHORAGES in the Aegean, protected by all weathers. In the weekends it is visited by many boaters. 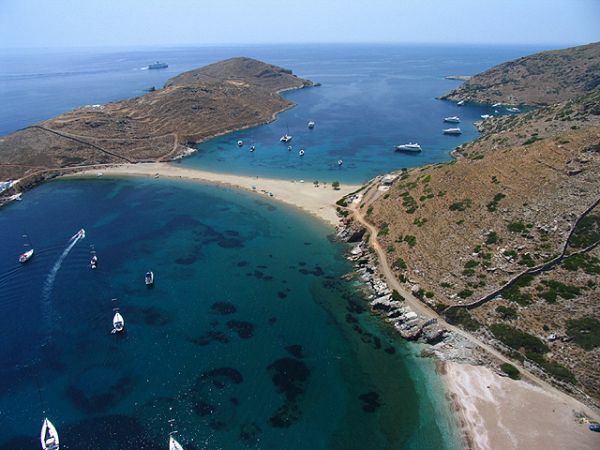 It is surrounded by many other beautiful beaches. Some of them can be reached by swimming or with a small boat (tender). The beach is surrounded by gentle, quite infertile slopes. 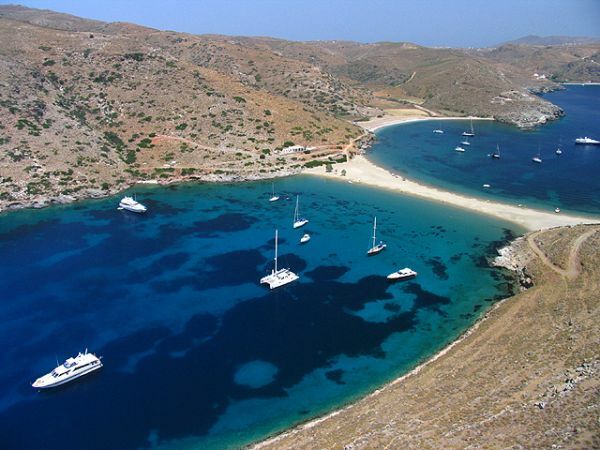 Kolona beach is situated approximately 3 km to the west of Chora village and can be reached by taxi boat from Merihas, the main port of Kythnos. It can also be reached on foot, which takes a couple of hours from the port. This trip is advised only if you like hiking, otherwise this option is not recommended. If you want to drive there, have in mind that the road is pretty rough and you will probably need a jeep to go. If you own a private boat, it will be necessary to land directly on the sand, as there is no quay. Among the few facilities of Kolona beach, we can mention a tavern, which opens in the daytime. On the other hand, although it does not have any umbrellas, there are two large trees providing shade. 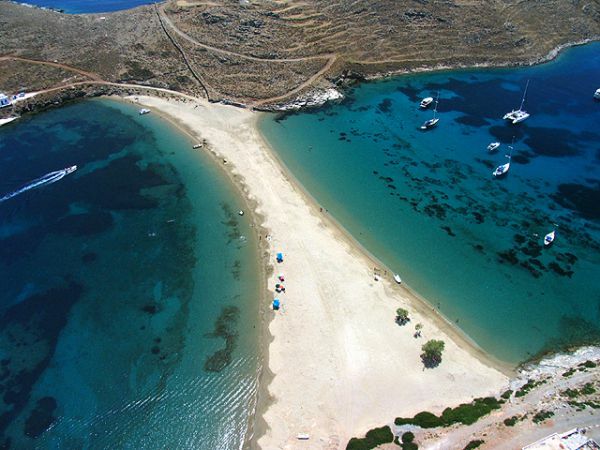 Kolona is reputed as one of the most beautiful beaches on Kythnos and has a great romantic vibe. 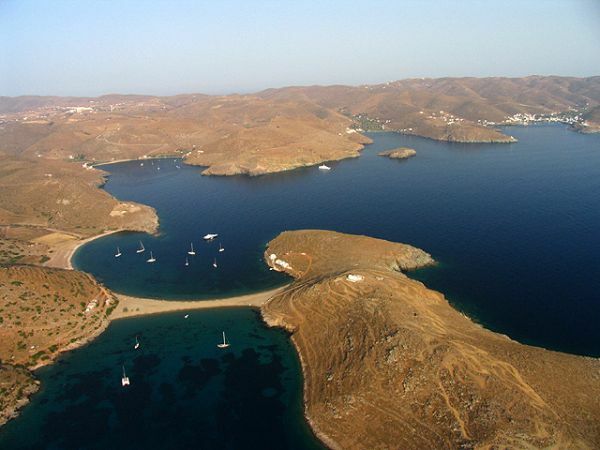 It is one of the locations that cannot be missed when visiting Kythnos island.